Island Native: Vaimana Conner – A Man of the Land, Sea and Air…He’s got our backs! Whether he is flying at the speed of sound, or paddling across the deep blue sea, you would never know what he does for a living. That’s because, if you don’t specifically ask him, he won’t volunteer the information. He is reserved and understated, but not shy, tall and handsome, and carries himself proudly. One would guess that he is a doctor, lawyer or perhaps some other professional. He comes from a fine lineage of paddlers, as his dad was legendary in the canoe paddling world, and he continues to make his mark in the water. When asked what he does for a living, he replied, “I’m in the Air Force,” and did not elaborate further. My reaction and response at the time was, “Cool!” Later, I learned that he was a captain and a pilot. 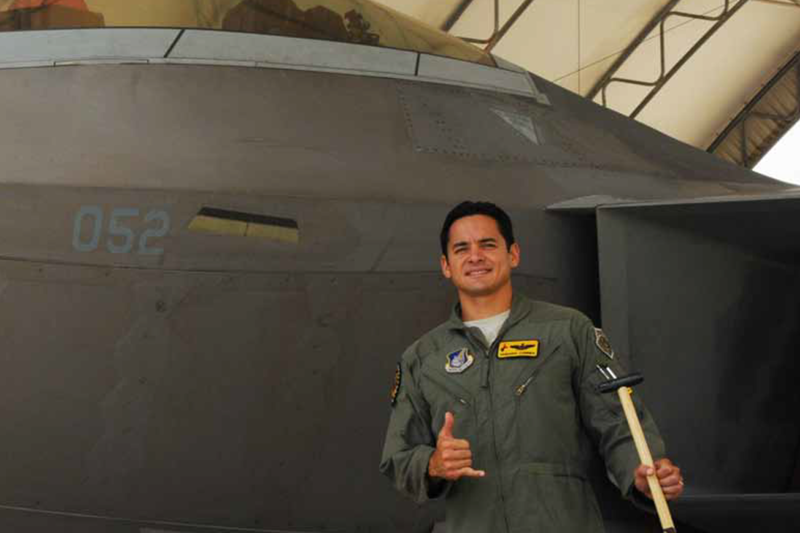 I further discovered that he flies F-22 Raptors in the United States Air Force, has achieved the office of Major, and that he serves to protect us in Hawaii from enemies that roam the earth! Vaimana Ikaika Conner grew up in Kailua, with mom Lesline Vainer Conner, and his late dad and ocean waterman legend, Thomas “Tommy” Conner. Despite both parents being avid paddlers, he remarked, “They never pushed us to paddle, and they left it up to us to decide. 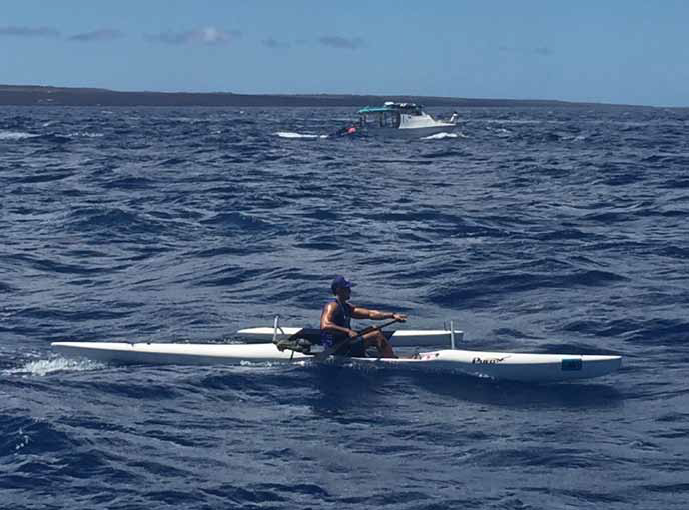 I’ve enjoyed competitive sports played growing up through Kailua High School, but really didn’t start paddling competitively until after high school.” Conner’s first paddling experience was with Kailua Canoe Club, in the Boys 18 division. Residing in the Ewa Plain, Vaimana’s ohana includes his wife Ashley, daughters Leela and Kaila, his older brother Tai, younger brother Kalena, younger sister Kanani, and two step-sisters, Jana and Kira. After high school, Conner decided to pursue a higher education, attending the University of Hawaii. He was offered a scholarship from the Air Force, and he decided that it would be fun to travel. “When I decided I was going to join the Air Force after college, I thought flying was the logical option in a flying force.” “I remember growing up, how it was awe-some, as a kid, watching my dad win the Molokai Hoe, but the biggest impression he left on me was later, when I started paddling, and he spent more time as a coach. Following in his footsteps, I live my life constantly striving to make an impact; either on people’s lives, or for the betterment of any organization I am a part of. I credit my dad for that inspiration, because I saw how much of an impact he made on the paddlers that he coached. (also known as “Tiki”), in the cockpit!